LG announced the all new LG V30 a while back with much anticipation and no release date. 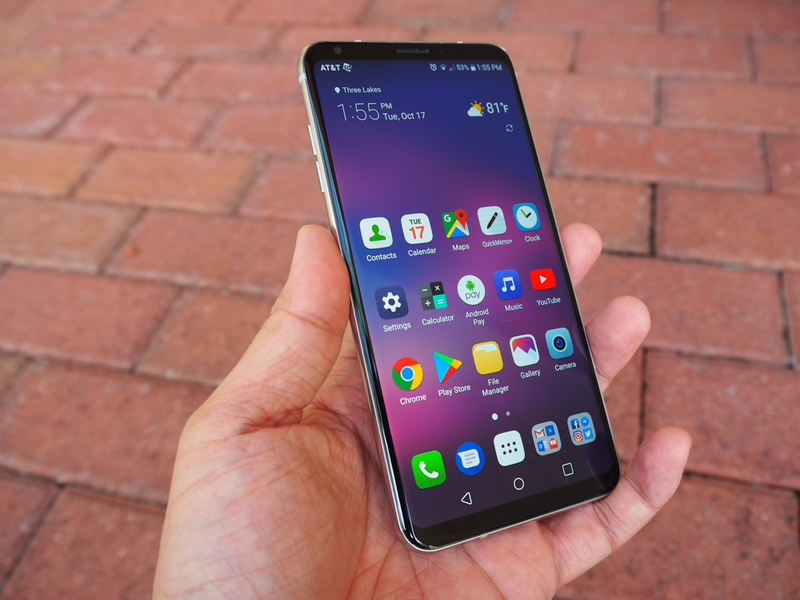 The latest in their V-series line, the LG V30 is a departure of sorts from the past V-series devices, but still maintains its flagship status as LG’s latest and greatest. 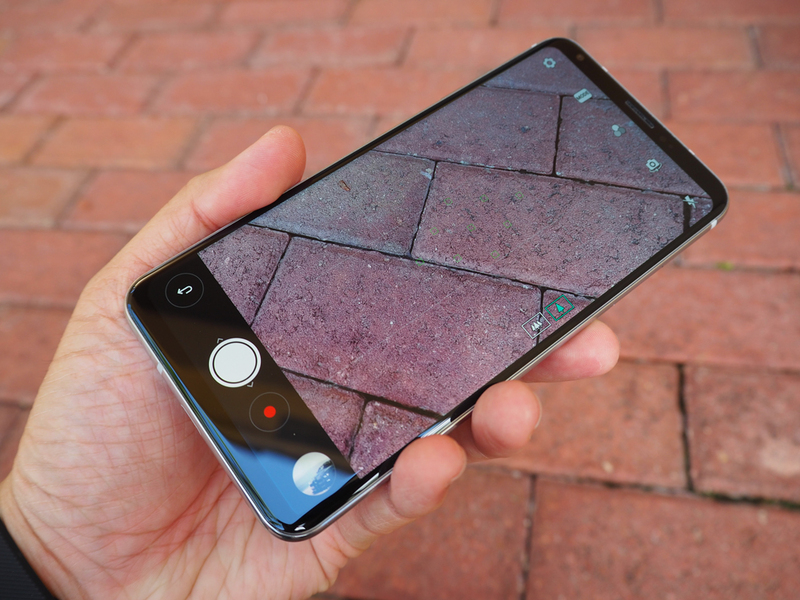 Officially released on October 5th and available at all major carriers, the new LG V30 could be the best Android smartphone I’ve used to date. The LG V30 is almost nothing like the LG V20 that came before it. 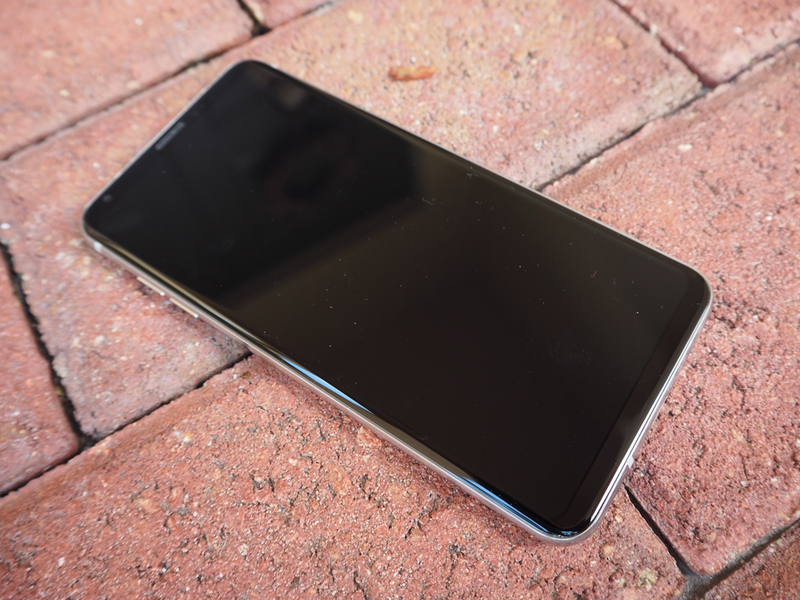 What was once a very large, functional device that was far from what I’d call pretty, the LG V30 is a much more sophisticated looking device with softer edges. Gone are the sharp edges and rectangular looks, now replaced with subtly curved glass and rounded corners. In fact, the new LG V30 looks nothing like past V-series devices and instead takes much of it looks from the current LG G6. 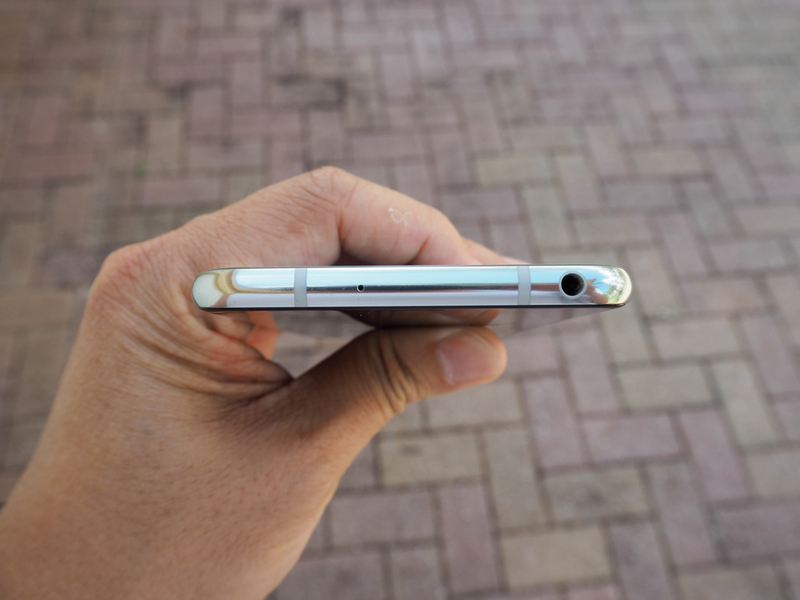 The phone is now purely made of glass and aluminum, ditching the all metal construction of the previous phone. What that means too is that the LG V30 no longer has a removable which was a standard option in the V-series line, but I’m guessing only a small percentage ever carried around an extra battery on them. Because of this, the LG V30 is now waterproof with an IP68 rating for water and dust resistant. Not only that, another staple of the V-series line is gone too, the second display. This was done I’m guessing to make usable display area much larger and instead has been replaced with a new floating software bar and an always on display. More on that later. Also finally gone is the IR blaster. That means no more universal remote functionality for all your in-home entertainment devices. That’s a bit sad as I really liked that feature and LG was on of the last remain holdouts. I guess they’ve followed what other manufactures have done and decided to finally just get rid of it. It’s not surprising at all. 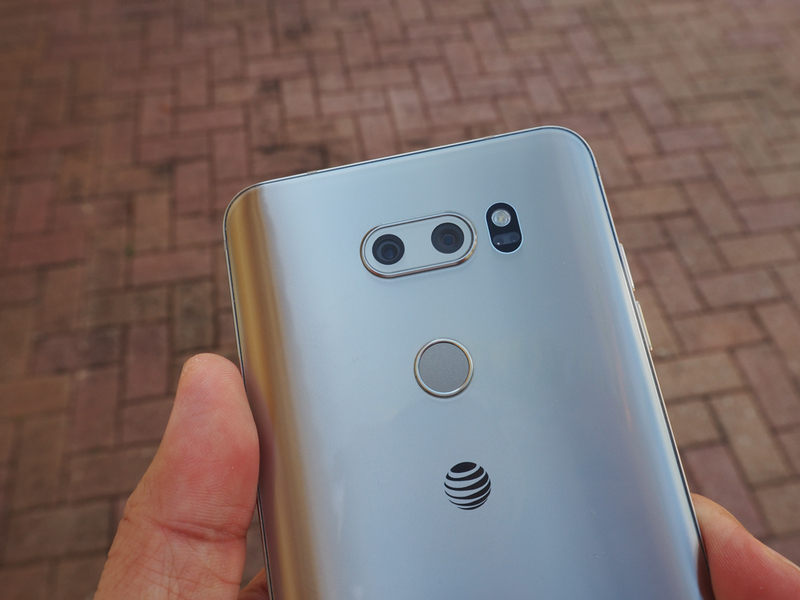 The version of the LG V30 I received is from AT&T in the Cloud Silver color. The back looks almost like a mirror that has been dulled while the metal edges have been polished to a brilliant shine. 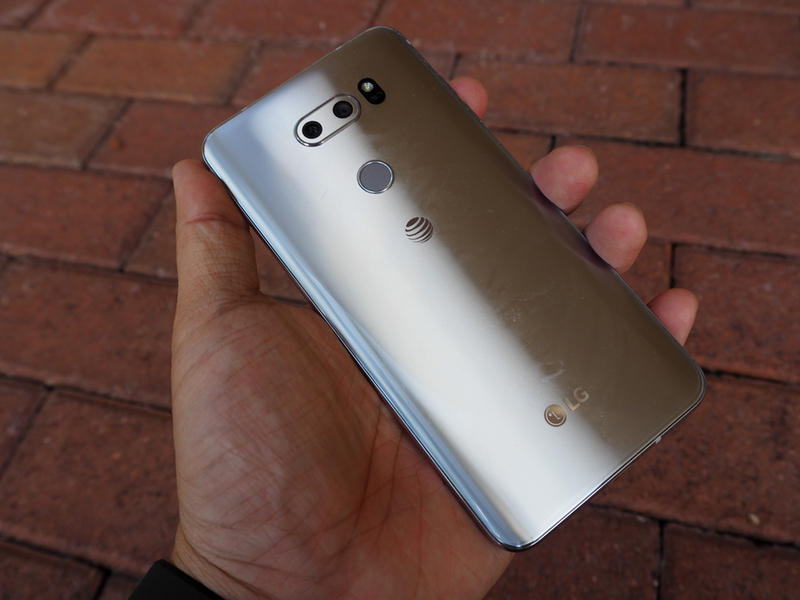 While silver isn’t my favorite color, this color combination looks quite good and gives the LG V30 a rather high end look that the old LG V20 just couldn’t match. 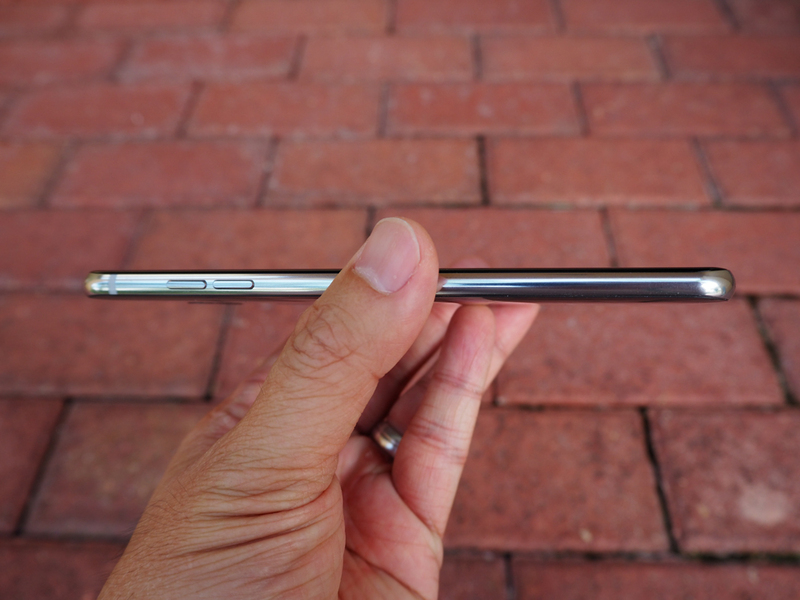 The device now feels noticeably thinner and much more comfortable in your hand. 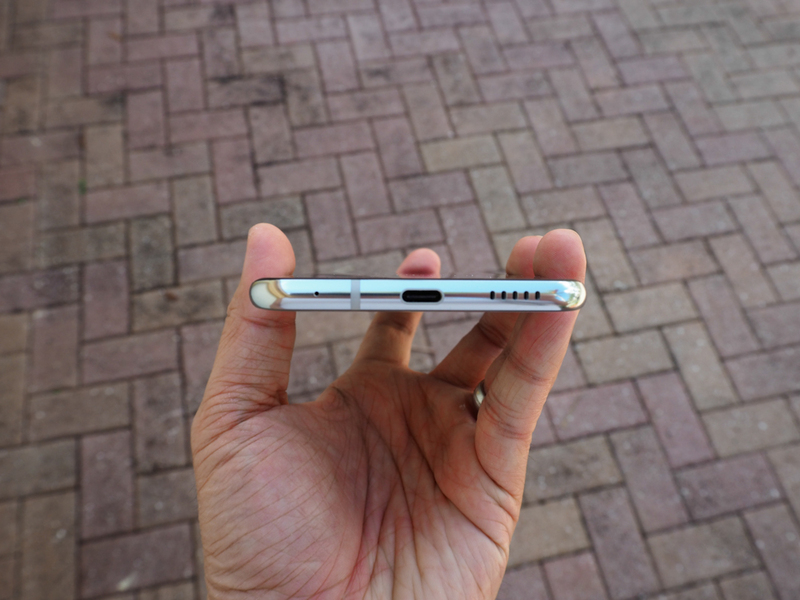 It still retains the dual rear cameras, the rear fingerprint reader, and the audio port. The charge/sync port is also still USB-C. It’s also still MIL-STD-810G Certified. As expected from a flagship device, the LG V30 includes what’s considered top-tier specs for Android phones this generation. We’re talking about a Qualcomm Snapdragon 835 processor with 4GB of LPDDR4 RAM and 64GB of internal storage. You can expand that up to 2TB with a MicroSD card. The LG V30 features a 6.0-inch 18:9 QuadHD+ OLED FullVision display at 538ppi. What that means to you is a gorgeous looking screen that should consume less power than what was seen on the LG V20. There are two cameras on the back of the phone, one is a 16MP F1.6 unit and the other is a 13MP F1.9 wide angle unit. The front camera is a 5MP F2.2 wide angle unit. Not bad for camera specs, especially the rear, though the front could be a little better. The LG V30 features a larger battery than the outgoing LG V20 model with a 3300mAh unit that should be good for all day usage. That was a major complaint I had with the LG V20 so hopefully the battery lasts a lot longer. In my tests so far, I’ve been able to make it through a solid work day without needing to recharge and that’s with a good deal of texting, phone calls, app usage, and the occasional game and video. One of the big selling points of the LG V30 is the 32-bit Hi-Fi Quad DAC, powered by ESS Technology’s SABRE ES9218P. This is great news for audiophiles with wired headphones that love to enjoy their music. The outgoing LG V20 used a a 5.7-inch Quad HD IPS-LCD with Gorilla Glass 4 and for the most part, was okay. It was fairly bright with good color reproduction. The only issue I had with it is that there was the occasional ghosting of icons and images, but would disappear after some time. Still it was a little annoying seeing and after image of your home screen or the previous app you were using. The LG V30 so far, has a much better display. The difference is the switch to a 6.0-inch QuadHD+ OLED FullVision display that is very bright, even in direct sunlight with excellent color reproduction. I so far see no evidence of ghosting or after images which already is a huge plus. I also appreciate the new 18:9 ratio screen which creates a taller screen. That means being able to see more on web pages and apps. 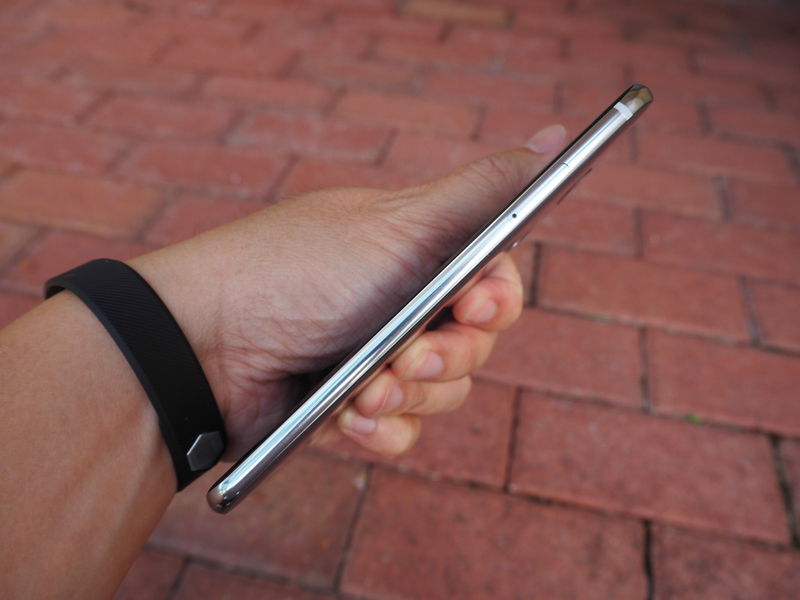 The display has rounded corners, which seems to be the trend now and very little bezels. The edge of the screen doesn’t extend past the curve of the glass though which I appreciate because curved display edges don’t work well with my palms and often interferes with usage. The display is also not as much of a fingerprint magnet as the V20. That phone I had to constantly wipe down where as this one isn’t so bad. The V30 seems to stay smudge free a bit longer between wipe downs. The LG V30 comes from the factory with Android 7.1.2 (Nougat). It doesn’t come with the newer OREO build, but I did hear that it will get the update for it in the future. For now though, you get a pretty new build with some new features that weren’t found on the LG V20. I won’t go too much into Android here but I will talk about some of the more interesting bits of software that’s only found on the LG V30. For starters, there’s a new Floating Bar that replaces the second screen. It has much of the same features and can be used for quick app shortcuts, screen capture shortcuts, music player buttons, and quick contact shortcuts. It’s kind of neat and hides itself when not in use, but I haven’t really found a real reason to use it. Luckily you can turn it off completely if you decide it’s not for you. Another new feature is the always on display. Much like what you see one some other devices, the display can now stay on when in sleep mode and display the time, notification icons, and even some quick app shortcuts. Because the screen is now an OLED screen, the little information that does stay one doesn’t use up much battery at all. Again, you can choose to keep this on or turn it off. It’s entirely up to you. Next up is the FM Tuner software which from what I can tell, is another one of those features that may disappear in the future. For now the LG V30 still has it and allows you to listen to FM Radio when you plug in some wired headphones. Again, not many devices have this anymore so I’m glad to see it still here on the LG V30. There’s also a new Gaming thing going on that I’m very glad to see here. It’s not as feature rich as what Samsung has with their Gaming Tools, but it allows you to Take a Break, Take a Screenshot, Scale App Size, and Adjust Game Graphics. Most of it is meant to help reduce battery usage, but it is kind of neat that it’s there. Lastly, you can now choose to unlock your device via Face Recognition if you choose to do so. You can’t use this by itself though and need to have a backup method in place such as a PIN code or fingerprint. When it’s set up, you just lift the phone up to your face and it unlocks in less than a second. It however has its limits. It can’t unlock with your face if it’s too dark. Other than that, it works pretty quickly. This is actually going to be fairly brief as there will be a more in depth post about the camera in the near future. If you’ve used the previous LG V20 camera app, the LG V30 one will be pretty familiar. The big difference here is that because of the longer screen, there’s more space now to display everything without it all overlapping each other. That means the buttons don’t overlap the viewing area unless you have it set to to take widescreen photos. Other improvements include the ability to use the onscreen shutter button to zoom in out by swiping it left and right or up and down depending on how you’re holding the phone. There’s also the ability to view your camera roll as a strip on your screen without having to go into your gallery. Like before, there are a ton of different photo modes you can use, though I’m going to assume most will just leave it on Auto. Pros might want to check out the Manual mode for more control. A huge feature LG is really pushing with the LG V30 is video taking and the inclusion of built in cinematic effects called Cine Video. This includes two components – Cine Effect and Point Zoom. Cine Effect is a pallet of 15 presets and Point Zoom allows for smooth zooming motion. Again, I’ll try to go more in depth with this in a later post. For the most part, the camera on the phone is very fast. Using the shortcut button when the phone is off brings up the camera app much faster than before and there’s no apparent lag either. It makes for a much more enjoyable experience. Before the LG V30, the LG V20 was my main device. I had been using it since the end of 2016 and it had served me well up until now. The only thing I did not like about that phone was the weak battery life and the fact that it was not waterproof. The LG V30 solves both of those problems. The battery on the LG V30 lasts way longer than my V20 did and that already makes it a way better device. I’ve been using the phone for a solid week now and it’s an absolute joy to use. The LG V30 feels plenty fast and hasn’t had any issues with any of the apps I’ve thrown at it. There also isn’t that pesky camera lag that I started to see on the LG V20 so that’s also a huge plus for me. On the down side, I need to get a case for this thing. I’ve been very careful using it so far, but I do have that fear lingering in the back of my mind that I am going to drop it one of these days and ruin its good looks. While not a super slippery phone, anything that it mainly all glass, regardless of the type of glass that it is should have a case on it. It’s far from grippy, so that extra protection will just make me feel more confident when holding it in my hand. 2017 has been a pretty exciting year when it comes to new phones. Samsung, HTC, Apple, and others have either come out or announced some amazing looking flagships and LG has done the same with the LG V30. While it might not be quite as flashy as something like the Galaxy Note 8 or as squeezable as the HTC U11, the LG V30 is a solid device that takes the V-series into proper flagship territory. It’s quite a bit more sophisticated than the out going device and though it’s now made of glass and aluminum, it’s still MIL-STD-810G Certified. Not to mention that it is now waterproof as well which to me is a huge plus. On the downside, I’m a bit more weary of dropping it because there’s way more glass so next on my list is to find a case for it that not only protects, but looks good. With that said, for the short time I’ve had the LG V30, it’s been an absolute joy to use. Time will tell if it stays that way after long term usage but know that there will be a followup down the road so stay tuned. Disclaimer: AT&T sent me the LG V30 to evaluate. This is the Cloud Silver variant of the device with 64gb of memory running on AT&T’s network in Miami, FL.